4. 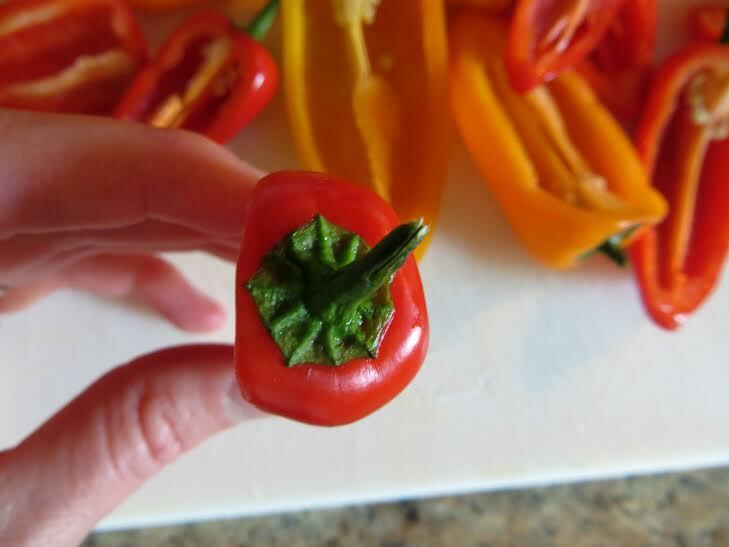 In a large skillet, cook beef and reserved ¾ cup diced peppers in medium high heat until beef is brown; drain. 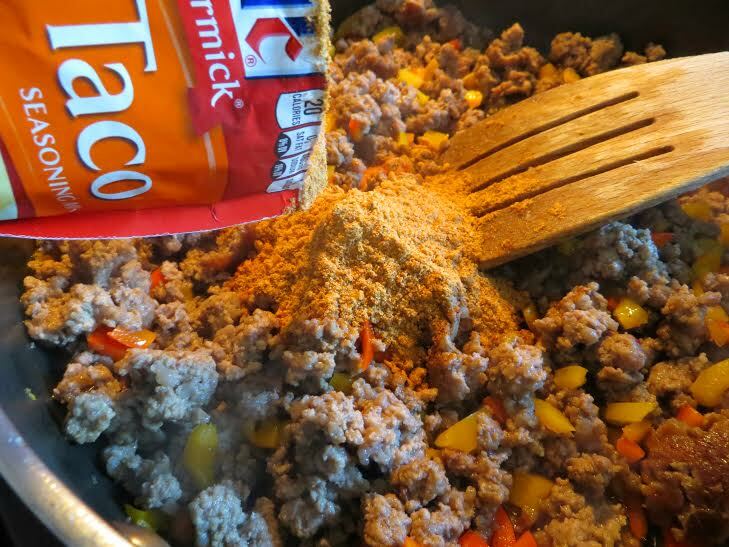 Stir in taco seasoning mix and water. Cook over medium-high heat for 5-10 minutes, stirring occasionally. Let mixture slightly cool. 6. 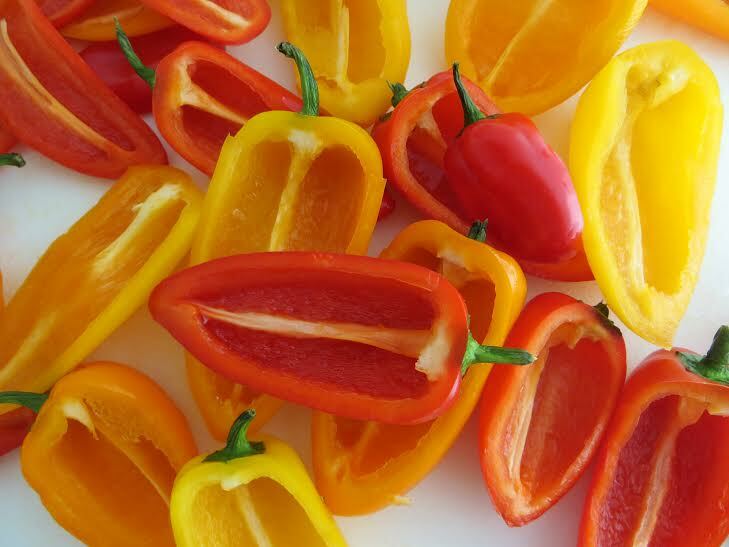 While the peppers are baking, make the Cilantro Lime Cream Sauce. 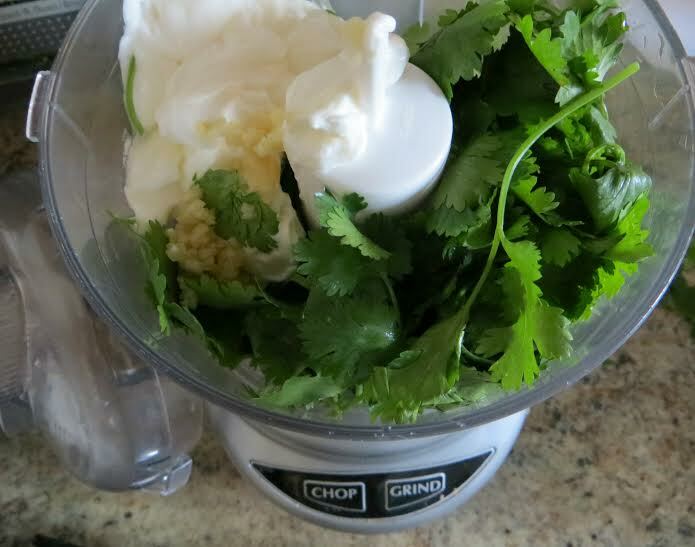 In a food processor, pulse the sour cream, cilantro garlic, and lime juice until smooth. So, what do you think? 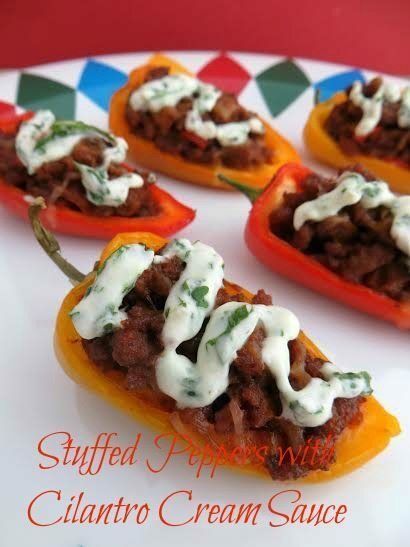 Love the sound of this easy stuffed peppers recipe? If yes, I urge you to make a batch and test it out. 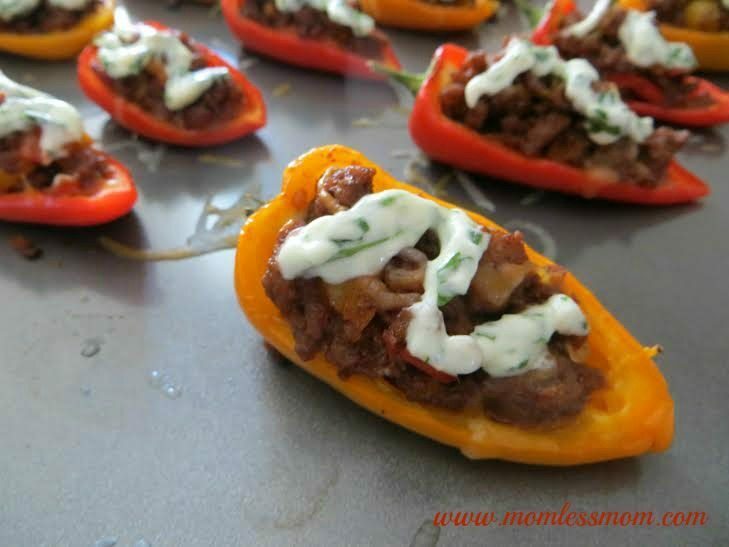 The cilantro cream sauce is a winner and add so much yumminess to this recipe ten times over! 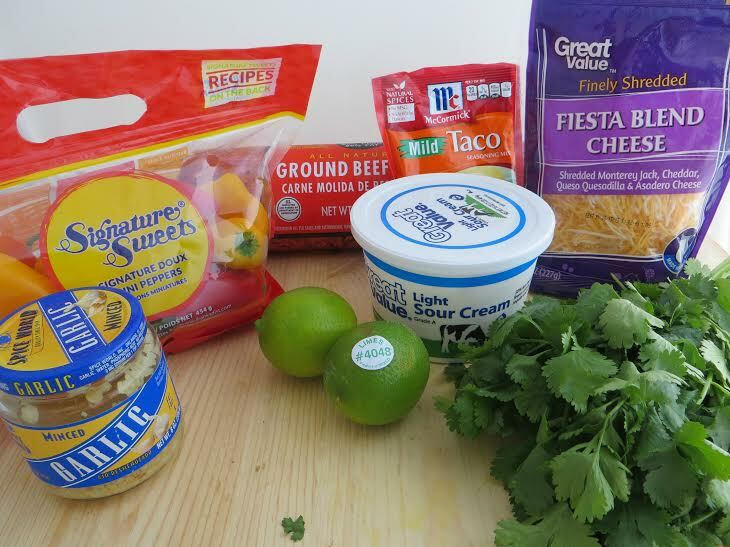 You had me at cilantro lime cream sauce! I am addicted to anything with cilantro and lime in it!